Dawson very handsome in his Tiger Cub uniform. Dawson and Nick, a wonderful "big kid" that is always so kind and friendly and the model scout. Dawson completely soaked after playing in the rain - what perfect childhood fun. 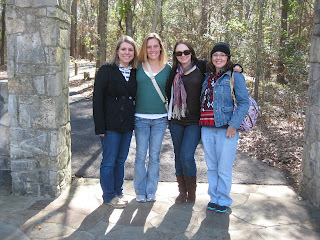 My sweet, wonderful, amazing, inspiring roommates for the ladies retreat. We had a wonderful family fun night with the Thompsons. It was such a great night with such great friends! Dawson and Kaelin hanging out in Kaelin's room. Brady in the princess castle. Dawson asked Brady to do his "booty dance" and then they all laughed at his cute, silly dance. Roasting marshmallows in the fire. Sitting around the fire was the BEST part of the night. I love this picture of Brady standing by Steve, waiting for him to locate Jupiter with the telescope. Brady doing Starfall while Dawson was doing his school work. He's such a cute little guy! We went to Pump It Up to celebrate with Dawson's friend, Sarah, for her upcoming birthday. Poor Dawson had some sort of foot injury, could barely walk, and couldn't jump at all. Brady loved everything at Pump It Up, especially the giant slide, which he went up and down repeatedly. Kaelin and Dawson on the big "pillow." Sarah, Kaelin, and Dawson on the obstacle course. Brady on the big slide. Brady making his way through the obstacle course. Brady has really been enjoying making train track "creations" as he calls them. They are very elaborate and very long, usually running in front of and behind the couch and even into the kitchen. He loves them. And we love seeing what he creates.